PowerSyncTM technology combines the convenience of standard wiring methods with the power of high-speed, digital-dimming. It translates control signal data into a digital format that can be transmitted over standard copper wire allowing highly granular addressing and control of every luminaire, using a single cable. Available in mains voltage and low voltage, the PowerSyncTM Data Injector accepts a growing list of standard protocols (0-10V, DMX/RDM), for simple integration with new and existing control systems.  With PowerSyncTM, the deployment of complicated lighting control infrastructure becomes outdated. A single cable attached to the luminaire is all that is needed – the PowerSyncTM Data Injector on the circuit does the rest. Mains Voltage luminaires run on a standard line voltage circuit (120-277 V), allowing maximum run lengths with minimal voltage drop. A fourth core in the luminaire cable carries the PowerSyncTM signal. Low Voltage luminaires are powered from DC powersupplies for maximum efficiency. A third core in the circuit, and luminaire cable carries 512 channels of full speed DMX/RDM over Powersync. Using PowerSyncTM technology, each luminaire can be accessed remotely, and addressed individually for DMX/RDM control. Group control using standard protocols like 0-10V and phase dimming is also supported. PowerSyncTM provides a transparent link between an increasing number of standard protocols and the luminaire. Up to 45 PowerSyncTM-enabled units can be supported from a single Data Injector with a maximum branch circuit length of 492 feet (150m). No separate control infrastructure; 4-core (Mains Voltage) or 3-core (Low Voltage) PowerSyncTM cable is all that is needed. Up to 45 luminaires across a 150m circuit with minimal voltage drop considerations. Easy integration into existing systems through the use of standard protocols. Universal Power Input (120-277 V) allows deployment anywhere in the world. 30-48V DC input on low voltage luminaires provides fantastic installation flexibility, and voltage drop forgiveness. Total luminaire control increases luminaire efficacy and reduces power consumption. Smart luminaire management leads to better product reliability and longer service life. Used to power and control Mains / Line Voltage Powersync luminaires. Power and Control of a full circuit of luminaires is provided through the simplicity of 4 core building wiring. By converting standard protocols like 0-10V, DMX/RDM into PowerSyncTM data for total luminaire control via a single, copper wire. That equals full control without the cable mess. Used in conjunction with a 30 to 48V powersupply, to power and control 30-48V Low Voltage Powersync luminaires. Power and Control of a full circuit of luminaires is provided through the simplicity of 3 core wiring.